OK I've run a test, a 12hr file of white noise (I suspect harder to compress) saved as MP3 48khz 320kbs is 1.6 gig. So well within the 4gb limit of fat32. So if you could stay awake you could make 20hrs! Fancy... although if he plans on doing this on the reg I'd recommend getting rechargeable batteries or use the usb battery pack anyway just to be sure. Being picky here, but FAT32 limits any file to 4gig. WAVs can only ever be 4GB because of their header where the size is kept. So even with NTFS WAVs are only ever 4gb max. So you cant stich them together. I know for a fact that some of the recorders I have that record to wav auto segment the files.. I would assume the DR-40 probably does as well. Only turned on backlight for photo. Impressive.. did you stop it recording or did it record until it shut off? I assume it'll stop recording when really low power? Thanks for the valuable info one and all. Can you record from line-in to any of these devices? 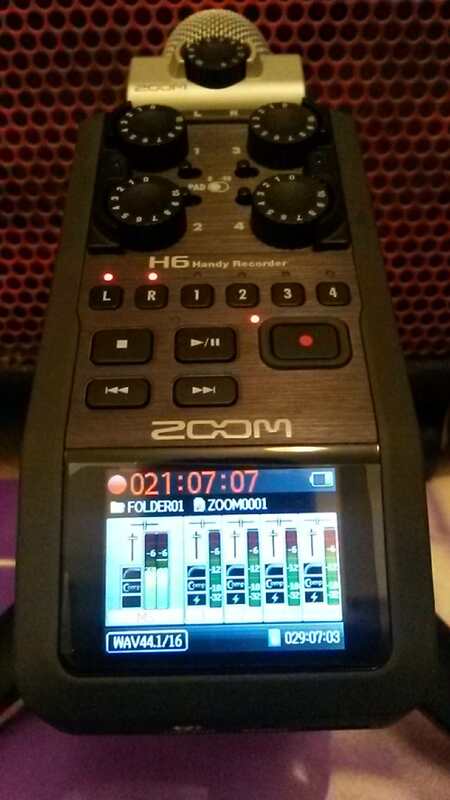 if I could double it up as a device for recording direct from my mixer then its happy days. Kinda answered my own questions, just found in the small print of the tascam dr-05 manual that you can record from line-in, so I could use this to record live shows. Yeah, even the lowly H4 has a line in option. It'll also act as a 2 channel A/D converter when plugged into the computer via USB. I have not given this function a lot of workout though..
Side panel gives a whole range of similar recorders..
"TASCAM’s exclusive Dual Level Recording function simultaneously records a secondary backup file at a lower gain level than the primary recording. This safety file, recorded at a 12db lower level protects your recording session from unexpected volume spikes and accidental overload. " Also it seems the batteries are 'hot swappable" !! !